The man arrested in an early morning shooting Thursday in Escondido has been identified as Jose Martin Torres of Oceanside, authorities said Saturday. Torres, 36, remains in the Vista Detention Facility on suspicion of attempted first-degree murder and was being held without bail. He was arrested Thursday after allegedly leading officers on a brief pursuit and firing a handgun at them, prompting one of them to wound him with return fire. 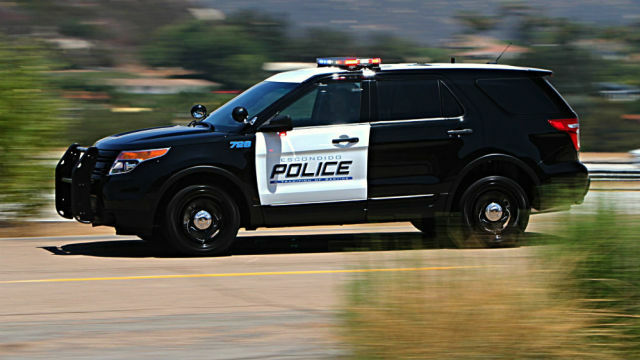 Dispatchers received a call around 1:30 a.m. from a person reporting that a man in a Dodge Charger was firing shots at a home in the 1400 block of Rincon Villa Drive, near El Norte Park, Escondido police Sgt. Shannon Martin said. The gunfire resulted in no reported injuries. Responding patrol officers soon spotted the sports car and tried to pull the driver over, Martin said. The suspect refused to yield, fleeing to the north on Interstate 15 into the unincorporated Jesmond Dene area, near San Marcos. After exiting onto Deer Springs Road, the shooter ran over tire-flattening spike strips, then got out of his disabled car at Mesa Rock Road and ran off, Martin said. As he fled, the suspect fired four to six shots from a handgun at officers, and one returned fire, wounding him and putting an end to the chase, said Lt. Michael Blevins of the San Diego County Sheriff’s Department, which was called in to investigate the law enforcement shooting. Officers took Torres into custody around 1:40 a.m., Martin said. The suspect was taken to a hospital for treatment of a bullet wound to one of his feet, then released back into police custody. Two officers suffered minor injuries unrelated to the gunfire during the pursuit, Martin said.